Two Polynesian voyaging canoes, Hokulea and Hikianalia, are currently sailing across the earth’s oceans; over four years, they will travel to more than 85 ports in 26 countries, logging more than 47,000 nautical miles. Onboard the Hokulea, Kaiulani Murphy is continuing the long legacy of ancient navigation passed down from her teachers—among them, Nainoa Thompson, master in the Polynesian art of non-instrument navigating. 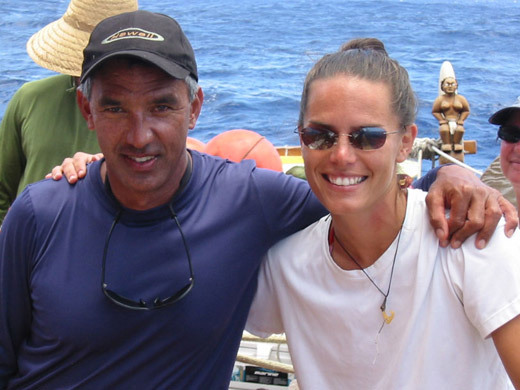 Both Nainoa and Kaiulani are crewmembers for the Malama Honua Worldwide Voyage, which launched in 2013 and will continue through 2017. 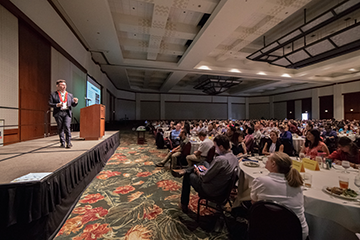 Like her mentor Nainoa Thompson, navigator Kaiulani Murphy is helping to spread a message about the importance of taking care of the earth for future generations by protecting its cultural and environmental treasures now. 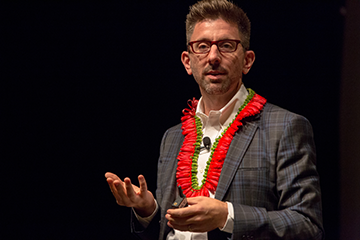 This is especially apparent to those of us from traditional island cultures like Hawaii; we recognize that our natural world is a gift with limits and that we must carefully steward this gift if we are to survive together. By building bridges with people around the world and working collectively for a better, more sustainable future, the voyaging canoes are seen as vessels for peace. Caring for one another as individuals—by sharing, learning, creating global relationships—is part of caring for the place we all call home. Hokulea’s navigators are using traditional wayfinding with stars, waves, wind, and birds as mapping points for direction. Hikianalia is using solar and wind energy along with the latest ecological and communications technology. Together, they combine contemporary and traditional indigenous knowledge to bring the world along for the ride. By the time the canoes return to Polynesia after circumnavigating the globe, a new generation of navigators—among them, Kaiulani Murphy—will take the helm. As they guide the canoes home, these young leaders will inspire others, like the mentors who have inspired them. To follow the progress of the Malama Honua Worldwide Voyage and find out more about the Polynesian Voyaging Society, go to www.hokulea.com.